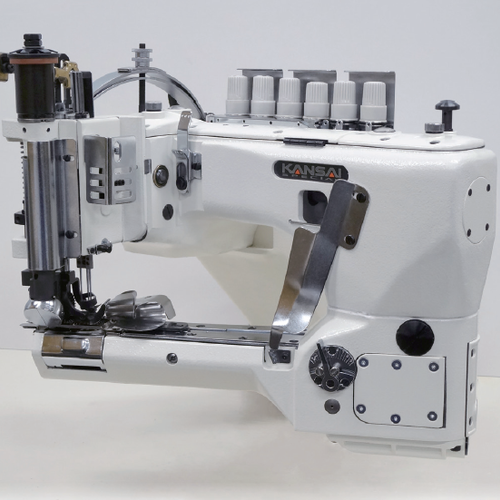 SX series is a 3 needle feed-off-the-arm, double chain stitch machine with a puller. The machine’s unique mechanism help to feed the fabric uniformly, so that the machine can sew the inseam of jeans even at the cross seam sections. The machine is suitable for lap seaming or side seaming on heavy weight fabrics such as jeans and working pants.